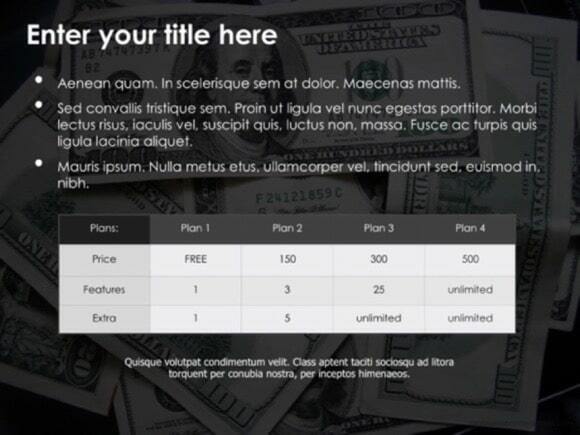 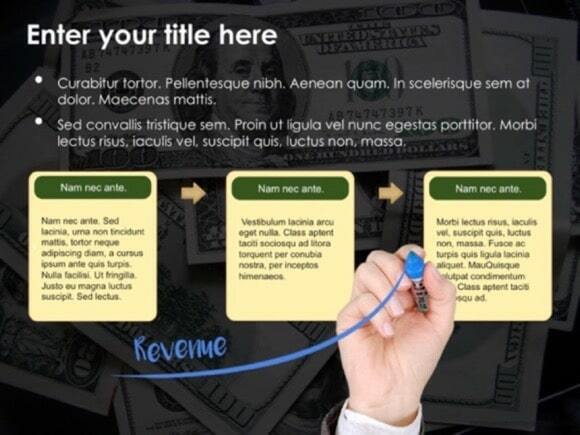 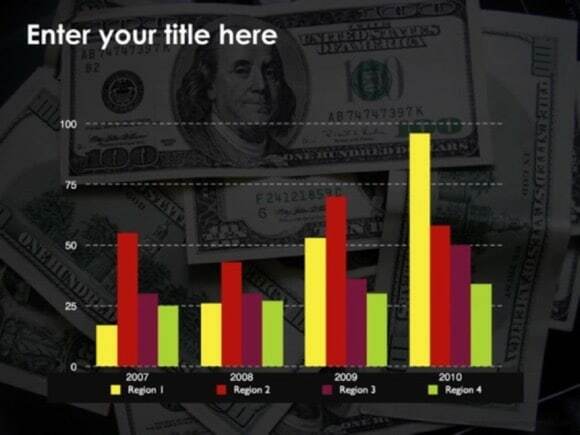 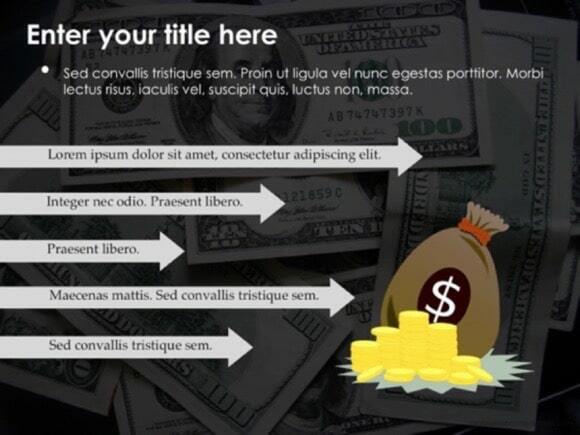 Money PowerPoint template - FREE! 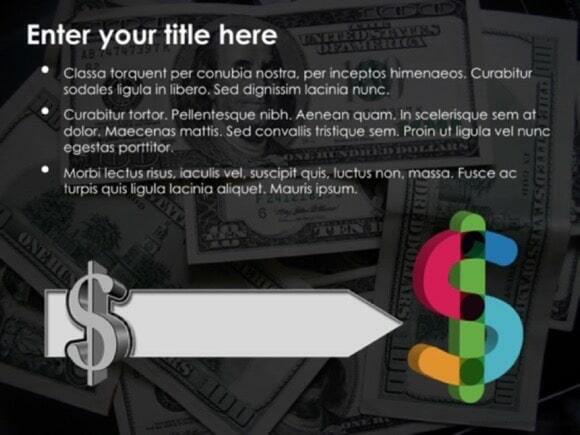 Money PowerPoint Template is a perfect design for economic, accounting or financial PPT presentations. 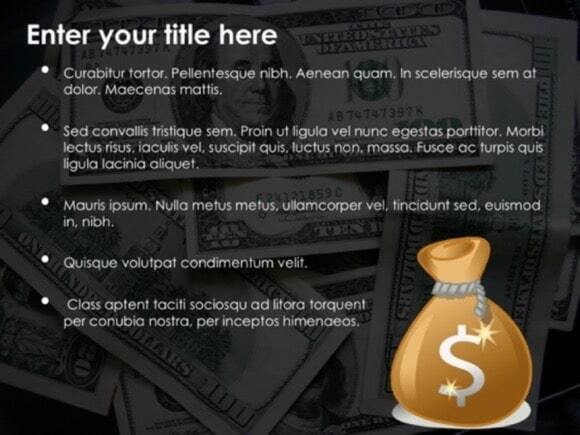 It has lots of dollars in the background, so if you have a topic like dollars exchange rate, rise or fall of the dollar, economic or currency crisis, stock market, investment or other financial issues, this is the template to use. 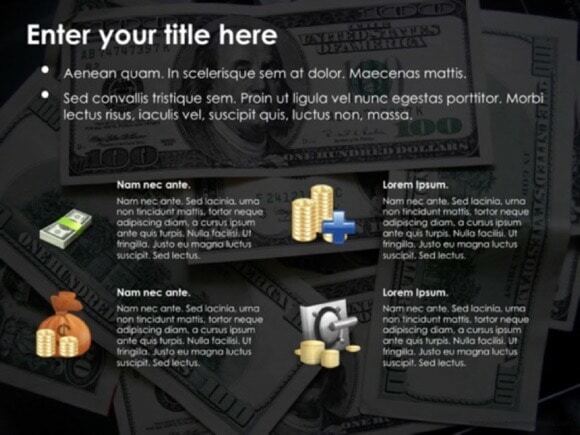 You can download it for free from our website. 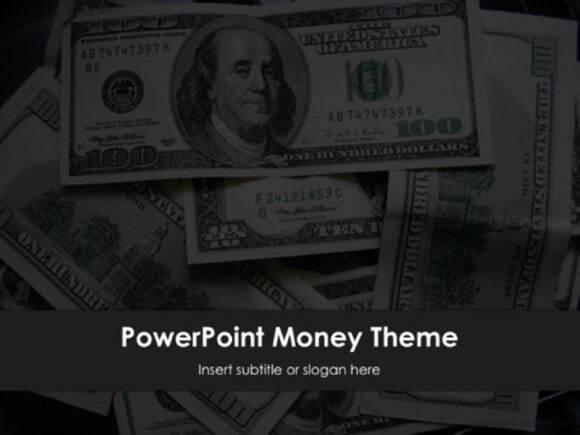 The template contains a series of bills in the background that make it just ideal for any money related or financial presentations. 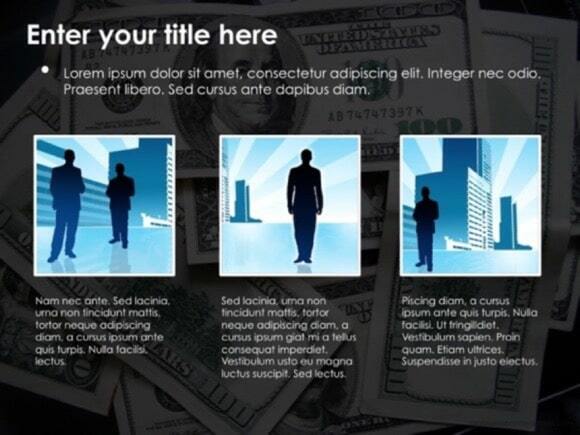 Want more similar presentation backgrounds? 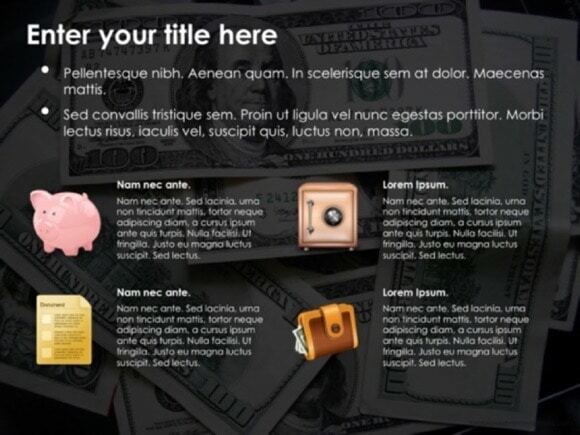 Check out these free money presentations in PowerPoint.